Q. Thank you for buying a Kanopy film I needed for an essay! 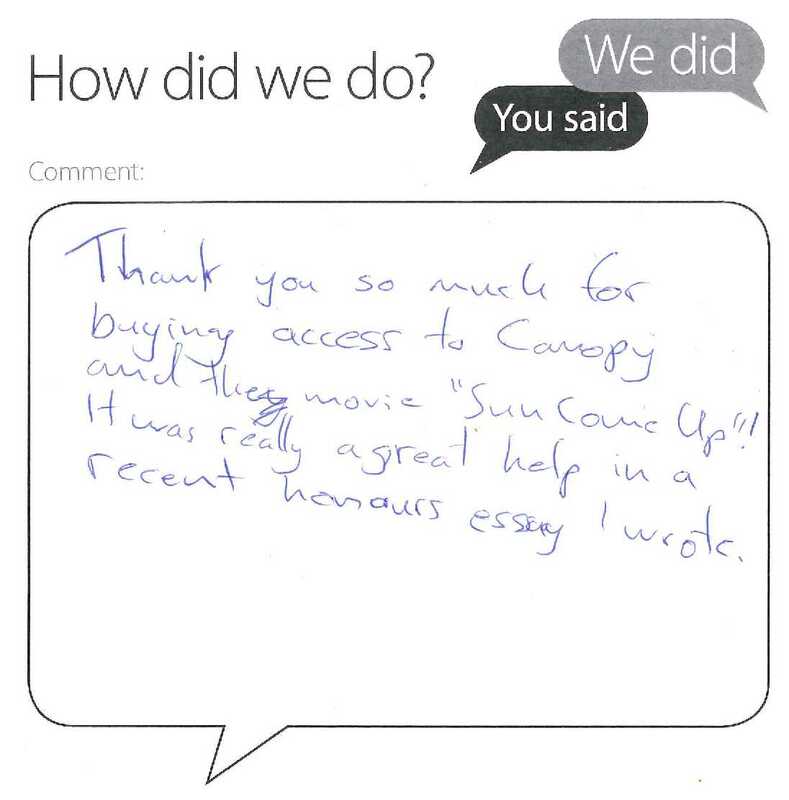 Thank you for letting us know that you've made use of the documentary 'Sun Come Up' which we bought access to on the streaming service Kanopy. It was requested by a member of Academic Staff for a screening with students on a module, and as the DVD was difficult for us to get within the timescale needed, we decided to try to services offered by Kanopy. We're really pleased to hear that you found this useful for your essay.